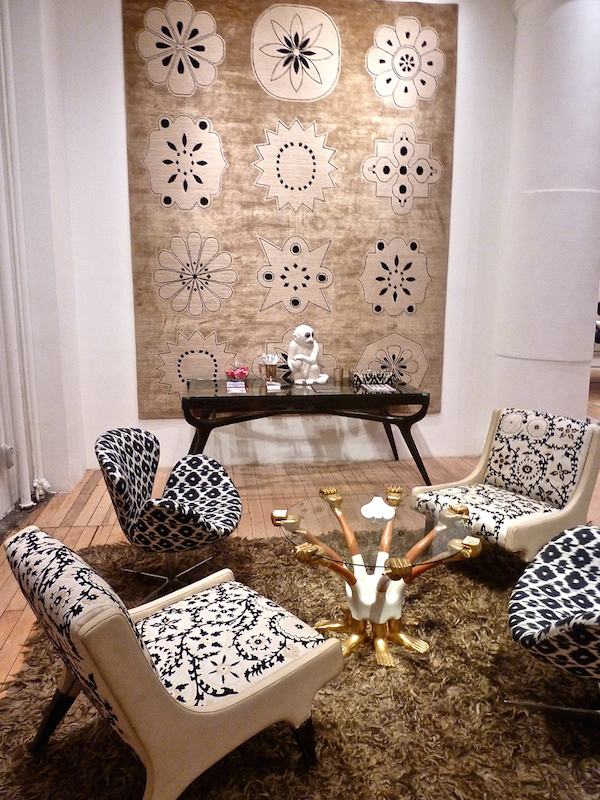 In her eponymous signature designs, Madeline Weinrib has melded the once disparate worlds of art and decor. As the great granddaughter of the founder of ABC Carpet & Home, Madeline spent much of her childhood playing on rugs and carpets, so it might seem natural that she would be designing them today. But her career path was a bit more circuitous. Eschewing interest in the family business, yet artistically minded from the start, Madeline pursued painting, showing at a gallery in New York City and teaching drawing at CUNY. 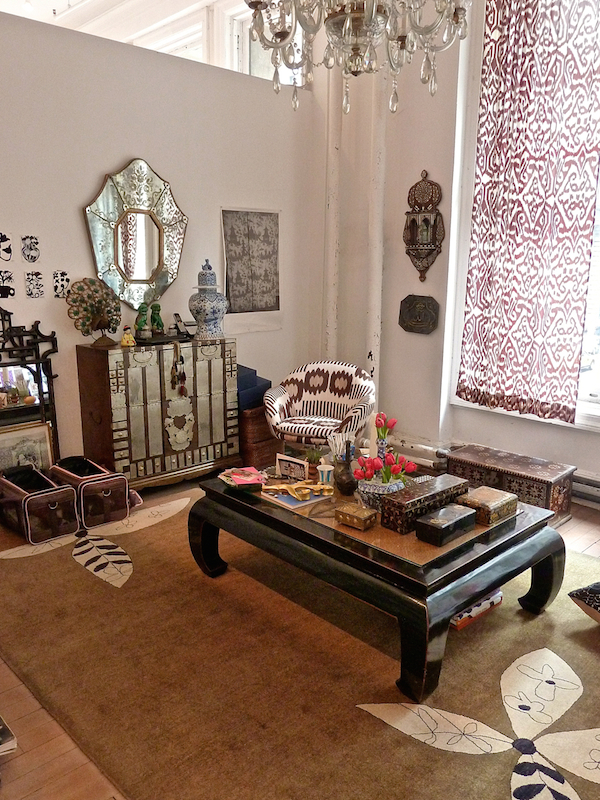 It was a graphic Tibetan carpet that first inspired her to translate her artistic vision to textiles. But in the late 1990’s, when the art world was much more rigid and strict, she had to make a choice, as her gallery felt it was a conflict. Ultimately she decided that textiles offered a wider range of expression, truly engaging her creativity. Today Madeline Weinrib is a name revered among designers for original artisanal creations now encompassing a world of textiles, accessories and fashion. 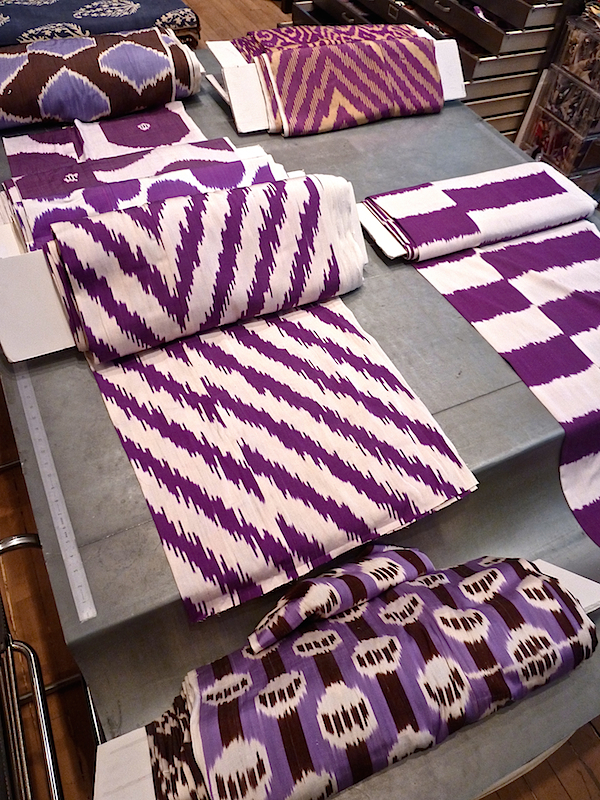 Join us as Susanna visits with Madeline in her beautiful NYC atelier and studio. Madeline was really a pioneer and a perfect example of my post Monday, appropriating the themes of traditional textiles and putting a modern spin on them. By taking original ethnic patterns, reducing the elements to a minimal design and adopting a more modern western palette, she created her sublime signature style. And it’s her color choices that have really set her apart. When she first began, pink, for example, was unheard of for the floor. But Madeline wanted rugs to be fun and offer the possibility of femininity in a heretofore masculine realm. Now of course it’s universally accepted as a stylish option to set the tone of a room. she herself collaborates with such institutions and companies as the Neue Galerie, BAM, Manolo Blahnik, the IFPDA Print Fair, Soledad Twombly, Sebastian + Barquet and more. We were thrilled to be able to spend the day in such creative company – thank you Madeline! This entry posted in art, In the Studio with, interior design, Quintessence video series, Stylish Shopping. 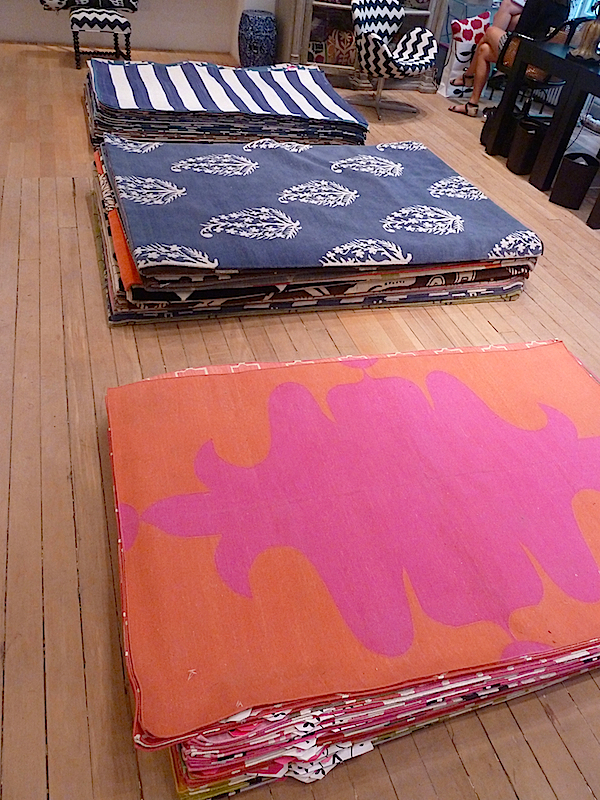 Entry Tags: design video, designer rugs, interior design, Madeline Weinrib, studio visit Bookmark the permalink. 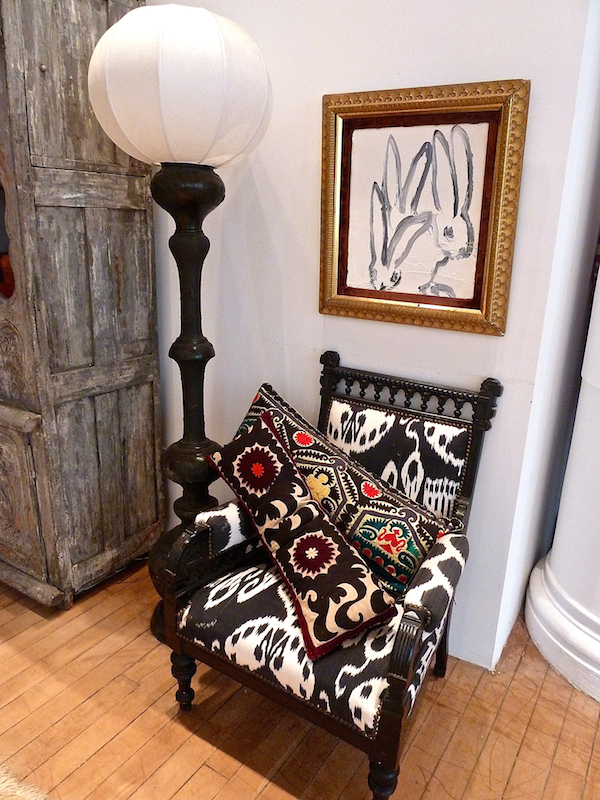 Madeline Weinrib has such an amazing product line. I have a pillow and a rug from her collection and I love them both. time to redecorate again…. but how does one ever decide between all her beautiful designs? Fabulous video… I can’t wait until next Thursday! Madeline is a design “she-roe”. Color and pattern and texture Oh My! Love love love it all! 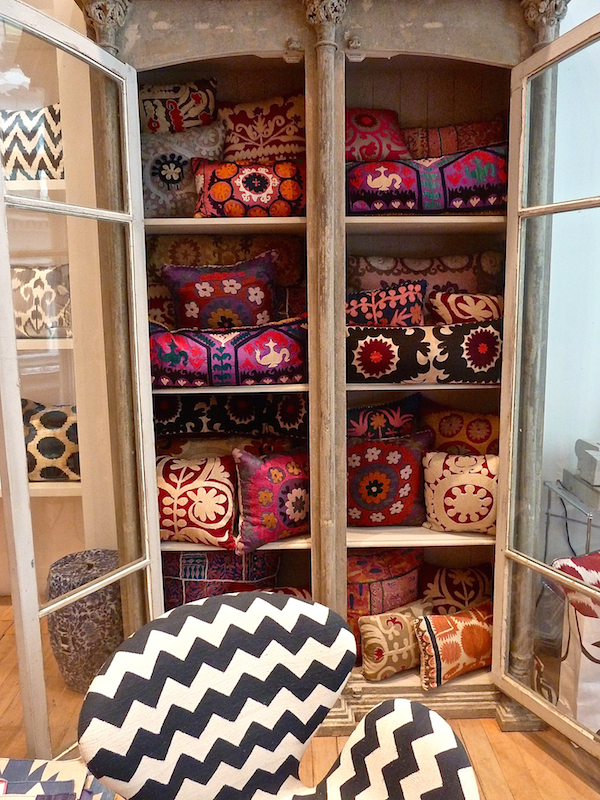 Fabulous … Textile designs , carpets and rugs , Suzani cushions , the whole taste is awesome ! Thank you for this gorgeous video , will share with many that cherish this taste and style . I live in Egypt , Cairo and I do have an antique gallery … We appreciate a lot this trend that has a lot of our culture and heritage , thanks again . What a gorgeous studio and so organized, too! Love the play of pattern and color everywhere we look and those vintage pillows are fabulous. You must be a busy lady with school ending, kids coming home and summer on your doorstep! Stacey- You are so right! This is a wonderful addition to your blog, and I am going to go back and listen to each and every one of them. Susan. 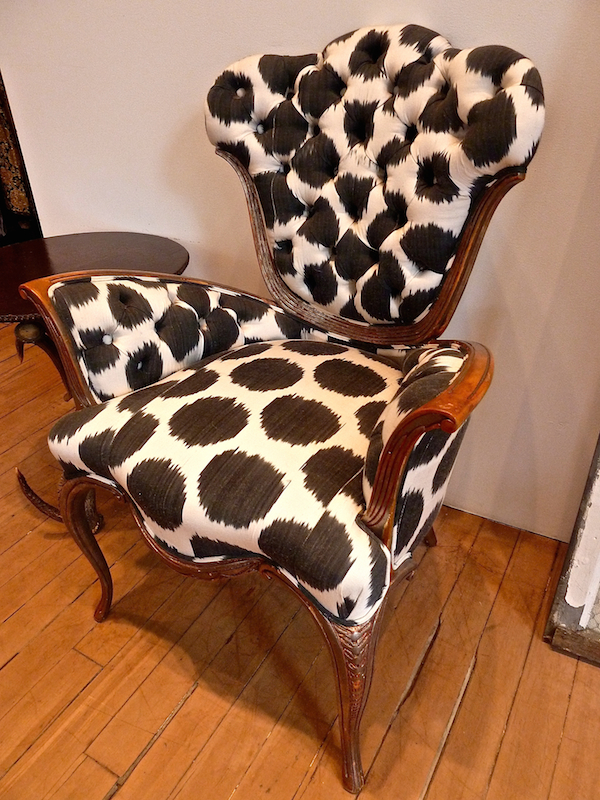 I am crazy about those patterns! The colors are AMAZING. The orange and hot pink is my favorite. It feels like summer! Thanks for sharing! I know that you enjoyed your time with Madeline! How can one person create some many beautiful pieces. 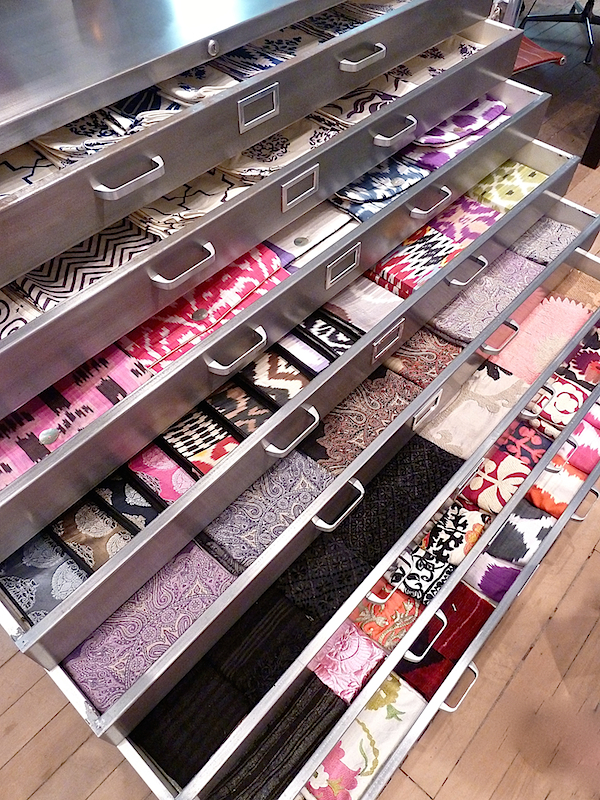 And tone able to go through the accessories drawers would be a huge treat. 82 queries in 0.868 seconds.